PARRYS International Wolves were condemned to another heavy away defeat as they went down 60-33 against Poole at Wimborne Road. The Monmore men were well beaten as they aimed to build on a dramatic comeback win over the Pirates two days earlier. It was another tough night at the office for Peter Adams’ side, as they contributed only two heat winners. With the absences of both reserves Lewis Blackbird and Josh Bates having a major impact, they could not challenge for a consolation point against the reigning Elite League Champions. And skipper Peter Karlsson conceded they are “just not good enough” after seeing them fail to earn a point for the ninth successive away meeting. Karlsson said: “We are not good enough to take points away from home at the moment, that’s the bottom line. “It was always going to be tough after only beating them by one point at home on Monday, and they were in control for the whole meeting really. Karlsson experienced another tough night in the No.1 spot, and with Freddie Lindgren and Ricky Wells also struggling their heat-leader trio were unable to record any race victories. 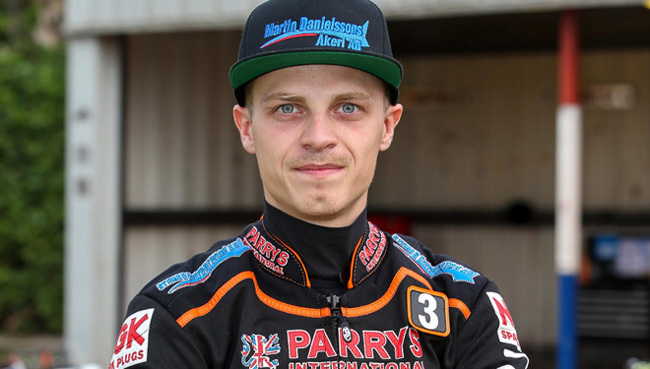 Swedish youngster Jacob Thorssell again led their resistance with a hard-fought 11 point haul including a tactical ride win in heat eight, whilst Tobiasz Musielak recorded their other race victory with a determined effort in heat four. However, guesting reserves James Sarjeant and Robert Branford scored their only points as Kyle Newman retired in heat 12 as they struggled to fill the void left by Blackbird and Bates. Wolves will be back in action on Monday as they aim for a second consecutive home win as they host play-off chasing Swindon at Monmore Green (7.30). POOLE 60: Dakota North 14+1, Maciej Janowski 10+2, Davey Watt 10, Chris Holder 8+1, Paul Starke 7+1, Kacper Gomolski 6+1, Kyle Newman 5+2. WOLVERHAMPTON 33: Jacob Thorssell 11, Freddie Lindgren 6+1, Tobiasz Musielak 5, Ricky Wells 4+1, Peter Karlsson 3+1, James Sarjeant 3, Robert Branford 1+1.